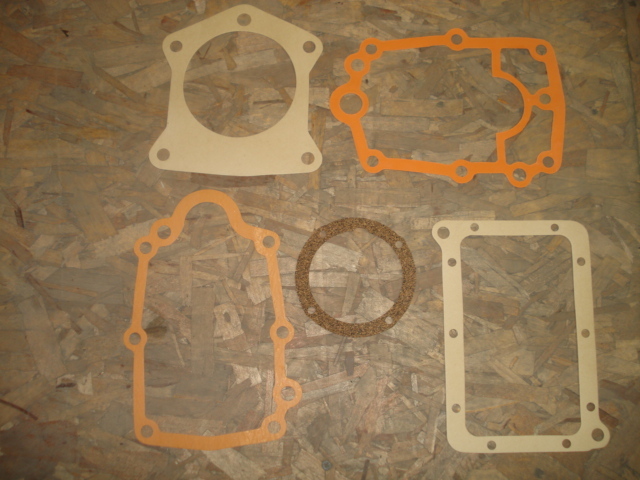 This is a 5 piece gasket kit specifically for the OEM T9 transmission. Will work on all year 5 speed XR4Tis with the OEM T9 manual transmissions and all year Scorpios with the OEM T9 manual transmissions. Suggest replacing the front and rear oil seals at the same time if you are replacing the transmission gaskets.